Friday, April 26, 2019 - 9 a.m. to 3:30 p.m.
Learning contentment is a life practice and one that, in our culture, can be increasingly difficult to master. Still, there is hope, for the answer comes when we understand our inherent value and refuse to allow circumstances to determine our self-worth. 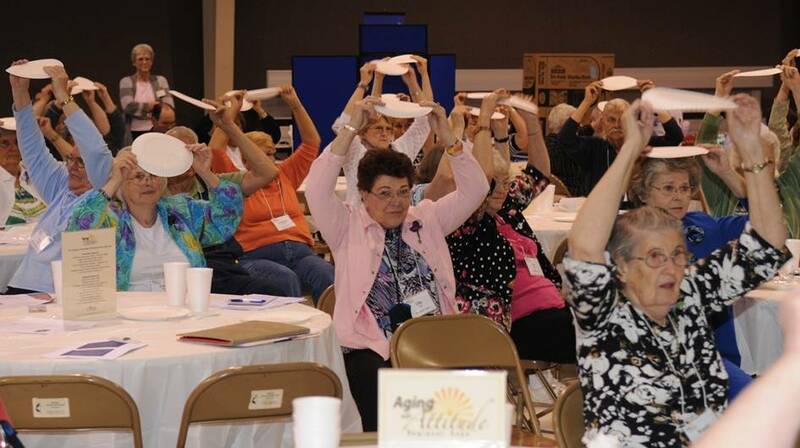 The Aging with Attitude Regional Expo promotes positive attitudes about aging and educates older Kansans on issues that support physical, mental and financial health. Registration fee is $15 per person if received on or before April 15th and includes lunch, refreshments, keynote speaker, educational sessions, door prizes, Staying Strong sessions and resource fair. Registration received after April 15th and at the door is $25 per person and lunch is not guaranteed.